In one of Europe's most exclusive markets, let mortgages provide overseas buyers a viable option to luxury or multiple property investment. A great way to capitalise on your purchase, let mortgages provide the benefits of loan payoff terms that allow for tenant rental income to offset costs. Let loans also offer buyers maintenance or rehabilitation funds to increase the value of a property asset immediately. Rules laid for in the Britain’s Shorthold Tenancy Act offer special let mortgage schemes to expatriate buyers, as well as UK and foreign national residents. Cross-collaterising investment mortgage packages of this sort may be attributed to the purchase of a number of property assets, covering up to 100 percent of the total financing on the investment. Buyers may source collateral from a range of International Bank Guarantees, Portfolio Investments and Offshore Bonds -- for both commercial and personal property investment. 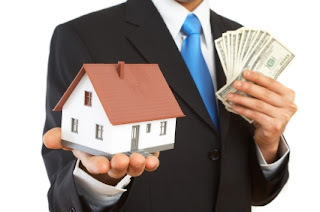 In the United Kingdom it is oft difficult for foreign investors to find buy-to-let mortgages. Seek loans unregulated by the national Financial Services Authority (FSA). Unregulated buy-to-let mortgages allow for property investment where not a ‘primary residence’ on application. Low interest rate indexes on buy-to-let loans are typically 1.5% - 3% -- just above the UK base or Libor rate. The UK offers outstanding loan values up to 75% of total purchase price, with terms to buy-to-let payoff up to 25 years. Currency conversion agreements are flexible, and can be calculated according to home income rate as part of the pay-off plan. Despite the almost universal shortage of affordable UK properties and decline in the gross mortgage sector since 2008, investors looking for low risk resale value, mortgage prospects for foreign nationals are better than ever, says the Council of Mortgage Lenders (CML). Based on the volume aggregate market in the UK’s capital and popular holiday cities, those looking for property investment can find a wide range of opportunities in buy-to-let loan programs advertised by about 80% of UK lenders. Whether searching for a flat or multiple unit letting property, the variety of investment properties available to buy-to-let buyers has never been better. Contact an established UK financial services firm, or registered property broker to provide you with lender details. This will keep you safe and get you some great information that will be invaluable in finding out what investment is right for you as they will be in the place that ypou will want to invest in, the UK. Real estate is always a good investment, but if you're going to invest in property overseas you want to make sure you have a competent real estate lawyer.